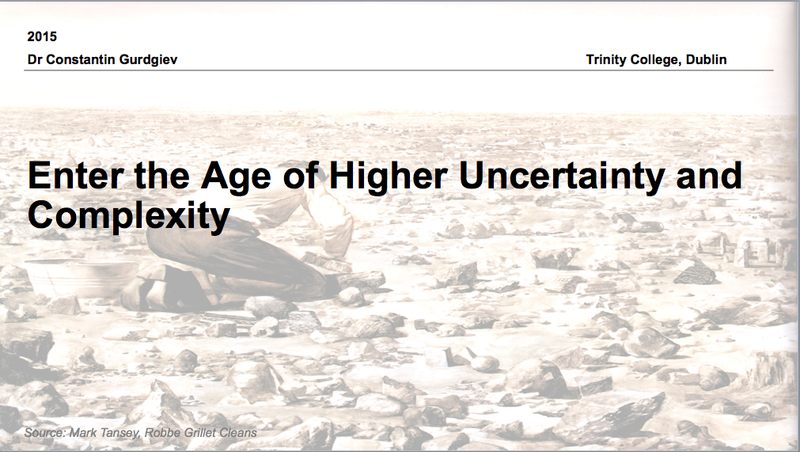 On micro uncertainty side, consumers and other economic agents are operating in and environment of exponentially increasing volatility, including income uncertainty, timing variability (lumpiness) of income streams and decisions, highly uncertain environment concerning life cycle incomes and wealth, etc. 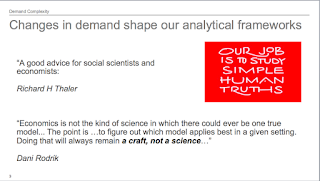 This implies growing importance of non-Gaussian distributions in statistical analysis of consumer behaviour, and, simultaneously, increasing need for qualitative and small data analytics. 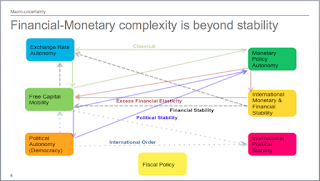 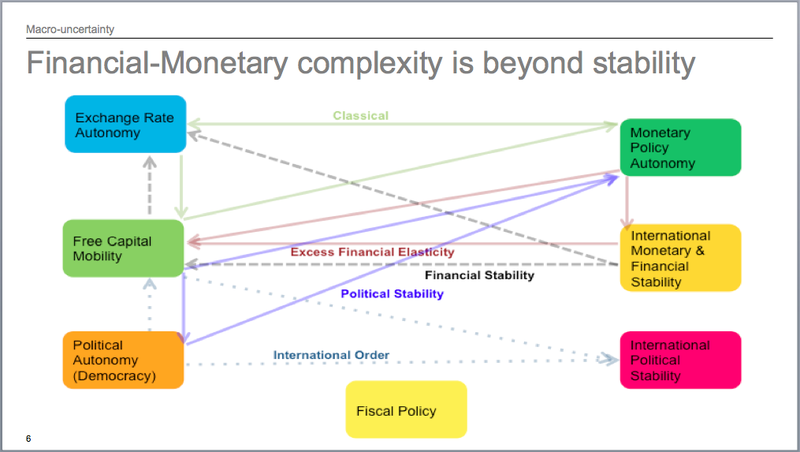 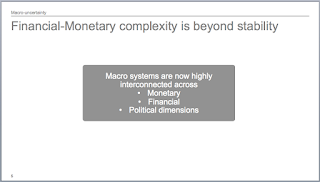 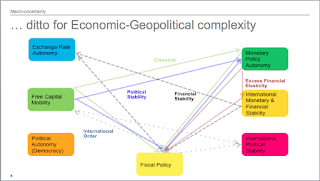 On macro uncertainty side, interactions between domestic financial, fiscal, economic and monetary systems are growing more complex and systems interdependencies imply growing fragility. 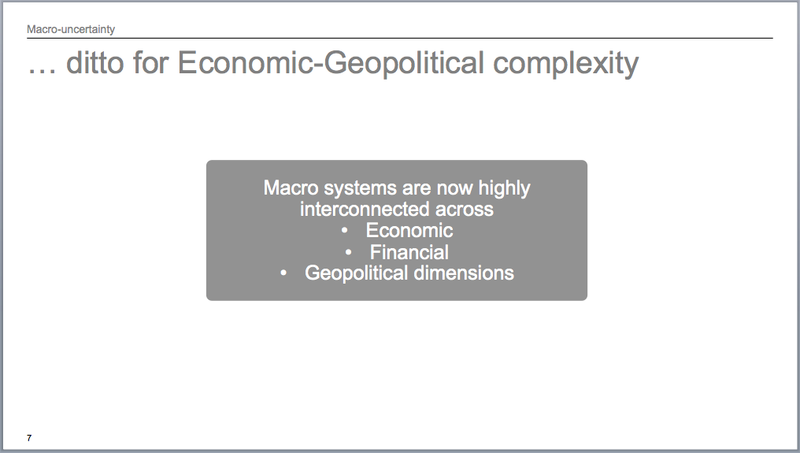 Beyond this, international systems are now tightly connected to domestic systems and generation and propagation of systemic shocks is no longer contained within national / regional or even super-regional borders. 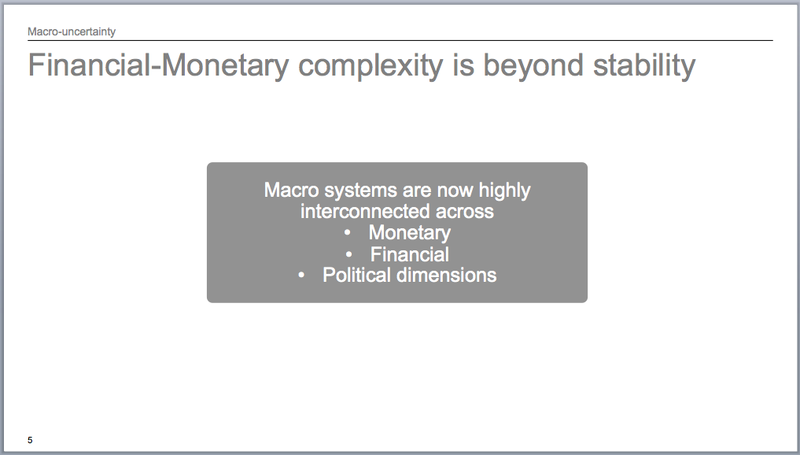 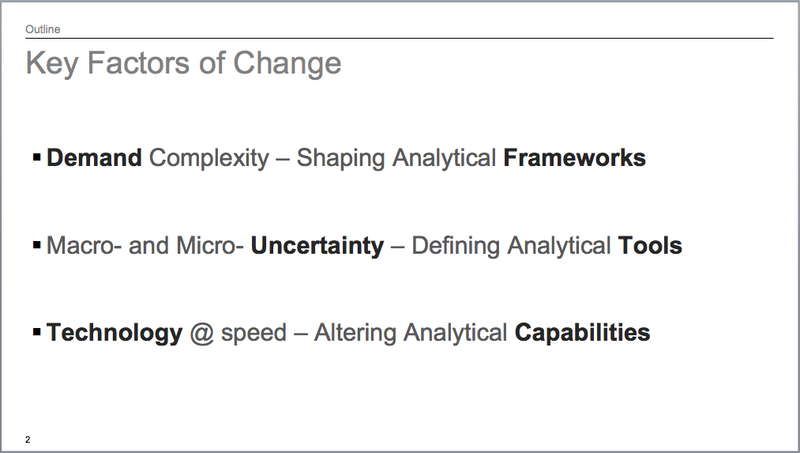 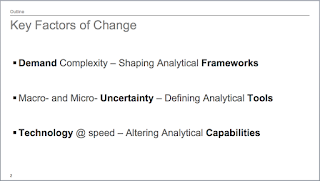 Macro uncertainty is now directly influencing micro uncertainty and is shaping consumer behaviour in the long run. 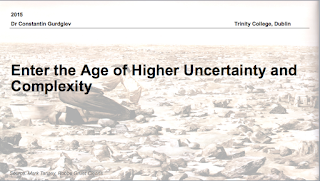 Technology, that is traditionally viewed as the enabler of robust systems responses to risks and uncertainty is now acting to generate greater uncertainty and increase shocks propagation through economic systems (speed and complexity). 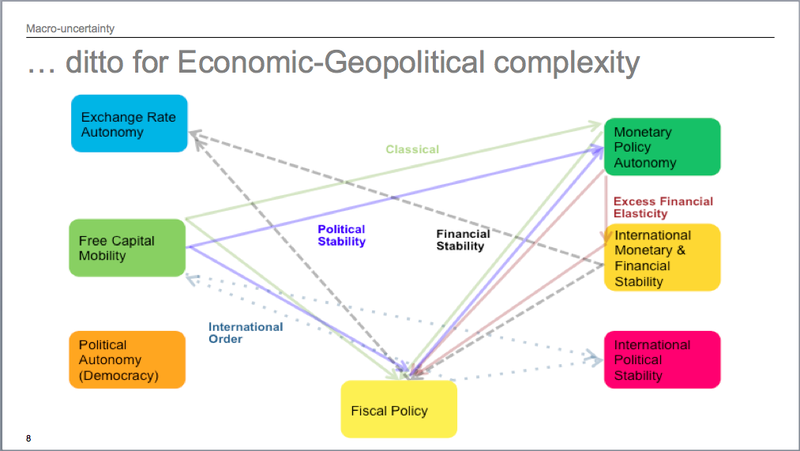 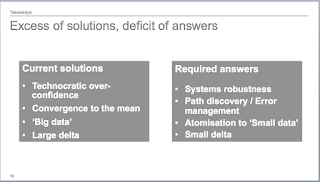 Majority of mechanisms for crisis resolution deployed in recent years have contributed to increasing systems fragility by enhancing over-confidence bias through excessive reliance on systems consolidation, centralisation and technocratic responses that decrease systems distribution necessary to address the 'unknown unknowns' nature of systemic uncertainty. 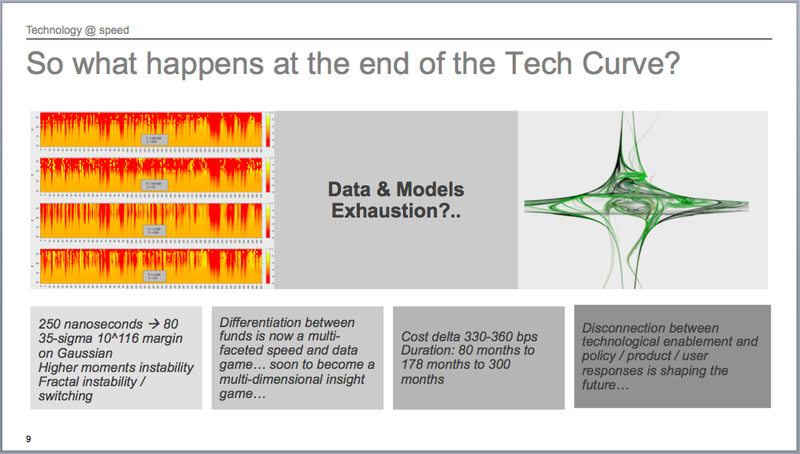 excessive reliance, within business analytics (and policy formation) on Big Data is reducing our visibility of smaller risks and creates a false perception of safety in centralised regulatory and supervisory regimes. 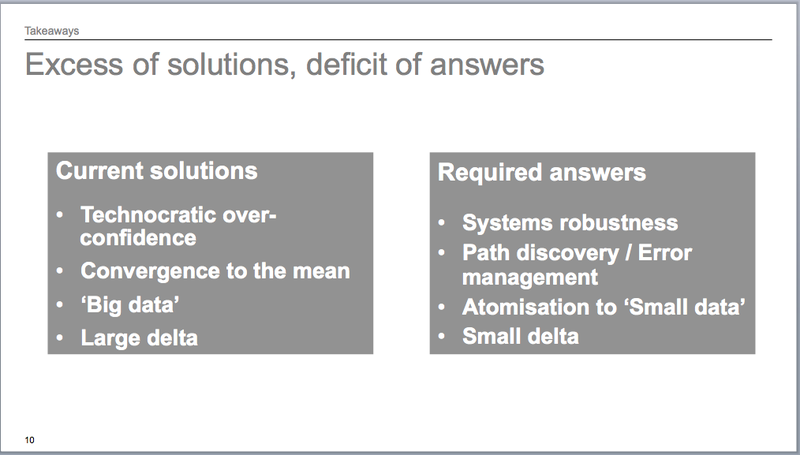 Instead, fragility-reducing solutions require greater reliance on highly distributed and dispersed systems of regulation, linked to strong supervision, to simultaneously allow greater rate of risk / response discovery and control the downside of such discovery processes. 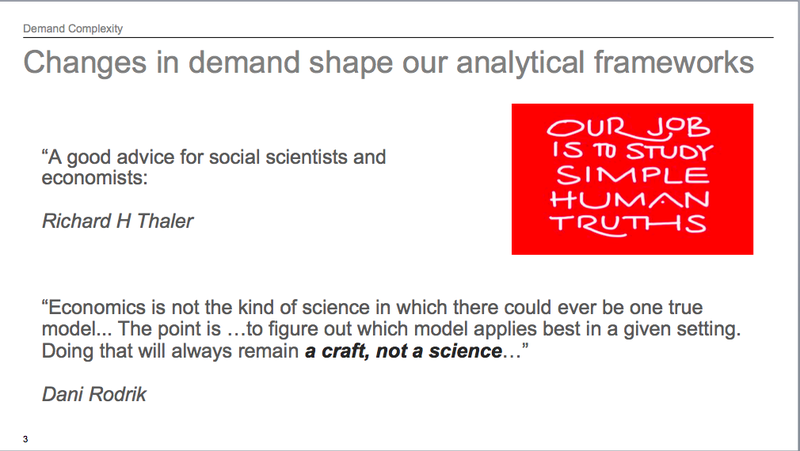 Big Data has to be complemented by more robust and extensive deployment of the 'craft' of small data analytics and interpretation. Small events and low amplitude signals cannot be ignored in the world of highly interconnected systems. 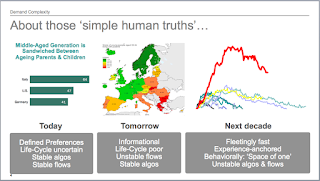 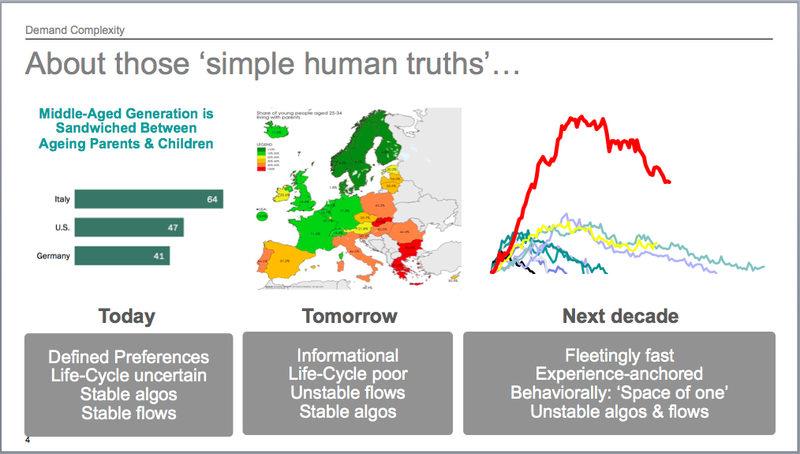 Overall, predictive data analytics will have to evolve toward enabling a shift in our behavioural systems from simple nudging toward behavioural enablement (via automation of routine decisions: e.g. 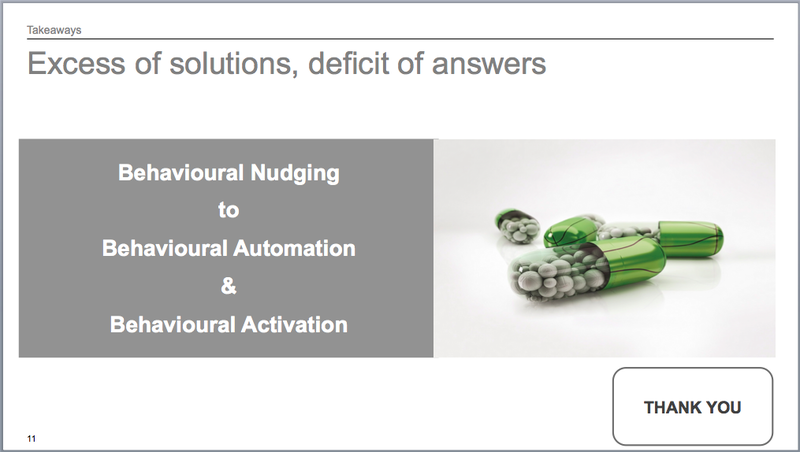 compliance with medical procedures) and behavioural activation (actively responsive behavioural systems that help modify human responses).